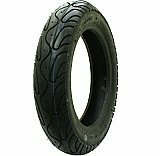 Extreme Motor Sales offers one of the widest range of scooter tire sizes, scooter tire tread patterns and scooter tire brands available. 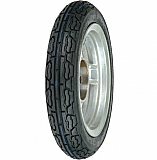 We have a wide variety of high-quality street legal DOT approved full size scooter tires. We offer some of the best tire brands on the market including Kenda, Vee Rubber, and German made Heidenau Tires. Our scooter tires offer the latest wet weather and racing performance technology available and we also have Naidun brand White Wall tires available for that retro look you have been searching for.